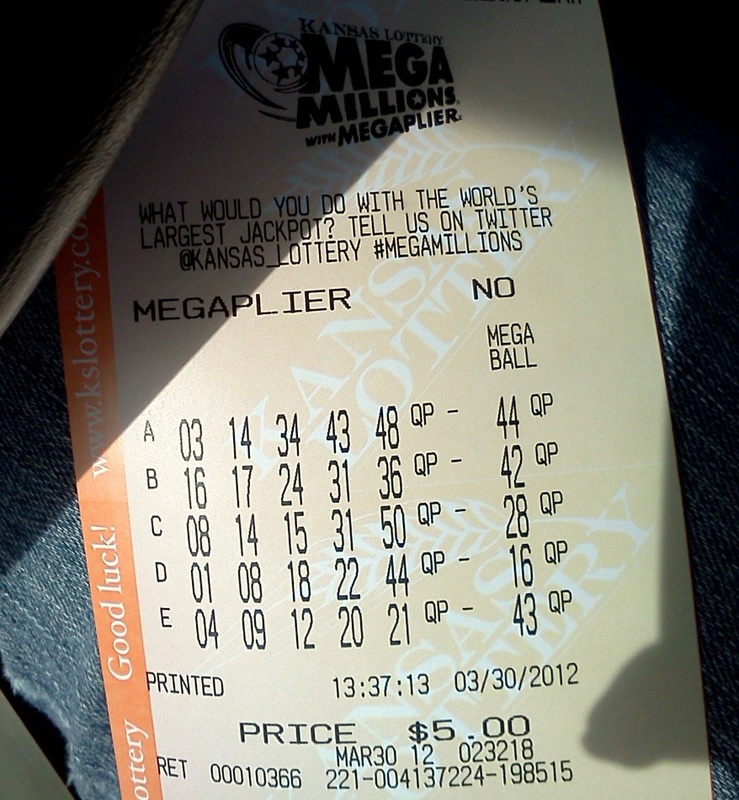 Playing the lottery is not high on my list of things to do. I’m just not much of a gambler. But this past March, when the lottery prize climbed to $656 million, even I broke down and bought a few lottery tickets for a lottery pool with friends. So I began my research with a bias against the state for letting Kansans down by promising to use the money for education and then pulling a bait-and-switch once the constitutional amendment passed. It turned out the “educational funding” myth was not true. The year 1986 was a banner year for the “sin” laws. It’s important to remember where Kansas was in 1986. The legislature was considering trusting Kansans with the ability to use credit cards to buy liquor. You couldn’t order a drink with your dinner at a family restaurant unless the restaurant was a “club” and you owned a membership. Meanwhile, many people crossed into Missouri to buy lottery tickets or drove to Nebraska to make a weekend of betting on the dogs and ponies. Anyone close to the Kansas City area at that time would have crossed the river to shop at the Riverside Red X, where Kansans had been purchasing liquor and illegally transporting it, sans Kansas sales tax stamps, back across the state line for decades. Kansas was hurting financially in 1986, and they saw how much money Kansans were willingly tossing across state lines and decided they wanted a piece of the action. 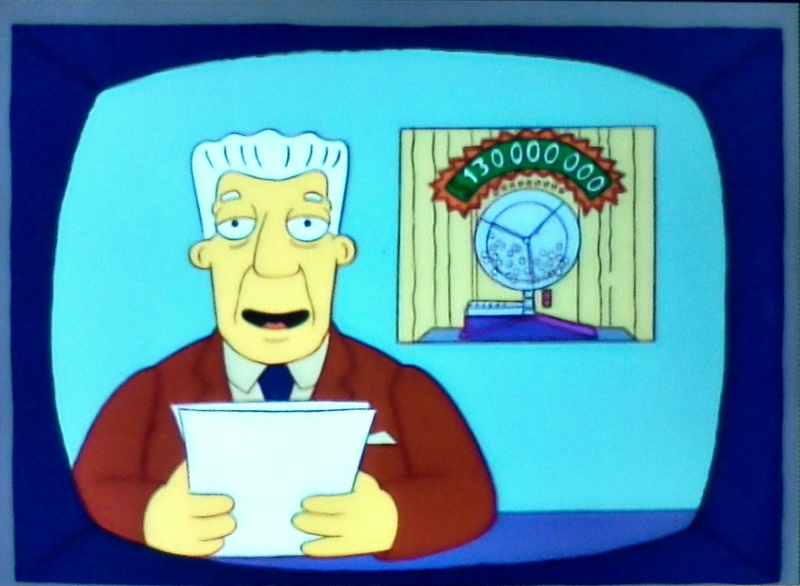 Anchorman Kent Brockman announces Springfield’s Lotto Fever during the news in “Dog of Death,” Season 3, Episode 19. After the winning numbers are announced, the lottery commission presents Principal Skinner with the school’s earnings: one chalkboard eraser. A lot of Kansans today feel like Principal Skinner. They envisioned that the revenue from the state lottery would help fund teachers’ salaries (which, in 1986, were well below the national average), repair and upgrade buildings on college campuses, and buy the “extras” that schools wouldn’t otherwise be able to afford. When the state began to rake in cash with the new lottery, citizens anticipated big checks being written to school districts and kids playing with new equipment on well-maintained athletics fields. So when it didn’t happen that way, when the schools weren’t the direct beneficiaries of the lottery’s bounty, citizens began to cry foul and wonder how the state had managed to pull the wool over their eyes. Did the state change tactics before the election? Based on the newspaper stories I found in the Lawrence Journal-World, the Hutchinson News, the Salina Journal, and several other respected state newspapers, the state never wavered. Where, then, did the education funding myth originate? Let’s go back to 1986. Part of Kansas’ desire to create a state lottery stemmed from watching Kansans willingly throw hundreds of thousands of dollars at the lotteries of other states. The California State Lottery was just two years old and a minimum of 34% of its revenue was supposed to be earmarked for supplementing public education funds. The Iowa Lottery kicked off at the Iowa State Fair in 1985. Rumors were circulating that the Iowa Lottery’s revenues were to be used for public education even though this information was not exactly true. As more and more states added state lotteries to their cash flow, the concept that “lottery revenue = educational funding” became ingrained in everyone’s minds. The situation was further complicated by newspaper editorials. When the measure to amend the constitution to allow for a state-run lottery and parimutuel gambling was added to the ballot, all hell broke loose. This was 1986, before the Internet and blogs and facebook and Twitter, and the only option most citizens had to express their views about the upcoming election was through their letters to the editors of their local papers. Religious leaders argued that liquor and the lottery would turn Kansas into New Sodom; liberals argued that Kansas would be making all of its lottery money on the backs of the poor who saw the lottery as their only hope. Still others, apparently unclear on how the state of Kansas was planning to use the revenues, argued how the lottery had failed to support higher education in other states. Many of the letters that were in favor of the lottery were not in favor of the way the revenue was expected to be used, insisting that the money should be set aside for public education. As these sometimes confounding editorials filled a year’s worth of newspapers in most every city in the state, a third source of confusion was introduced: Kansans were asked to vote on an important educational measure which would have dramatically changed the power of the Kansas Board of Education. In 1986, the Kansas Supreme Court ruled that as the constitution was worded, the board was completely independent of the state (unlike the Kansas Board of Regents, which ultimately answered to legislature). Kansans would have to pass an amendment to the constitution in order to give the Kansas legislature the ability to have final veto power over the Kansas Board of Education. (Incidentally, this amendment was shot down at the polls.) I believe that introducing amendments for the lottery and education in the same election confused many citizens, who mixed and matched the information until, in their minds, they created a lottery that would support education. Kansas, however, vowed to use the money for economic development, reappraisal and corrections. Did the state follow through? Since the first ticket was sold in 1987, the Kansas Lottery has generated a total of more than $1.19 billion in revenues through ticket sales. Of that, roughly 28% is returned to the state in profit (beyond the cost of running the lottery (about 15%) and paying out prizes (about 55%)). In 2010 alone, the Kansas Lottery returned $69 million to the state. While reassessment wasn’t on the agenda these past few years, the bulk of the money continues to go to the Economic Development Initiatives Fund and various prison and juvenile detention funds. The Economic Development Initiatives Fund awards grands to different programs year-to-year, and many programs are run through universities or are connected to education. In 2003, the Kansas legislature authorized the Kansas Lottery to create the Veterans Games, a lottery whose proceeds would go exclusively to veterans’ benefits, including educational scholarships. Kansas has managed to stay consistent in its promised use of the Kansas Lottery revenues. What’s more, nearly $11 million of the $29 million awarded to the Economic Development Initiatives Fund involved educational projects. Much to my astonishment, the state of Kansas did what they said they would do with the money and are even awarding a higher percentage of it to educational programs than states whose revenues are supposedly designated for public education. What’s more, the program is self-sustaining and participation is completely voluntary. There are many ways the Kansas Legislature has let us down. Surprisingly, the Kansas Lottery isn’t one of them. Giving up on the Constitution?